Cpl. 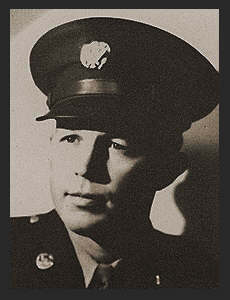 John H. Blanton, Jr. son of Mrs. John H. Blanton, Sr., graduated from Frederick High School, Oklahoma A & M; husband of the former Bert Elaine Fuston. Entered service, trained in Sheppard Field, Texas; served in New Caledonia, Brisbane, Dutch New Guinea, East Indies, Morotai, Palau, the Philippines, Guam, the Johnsons, and Hawaii. Awarded Am. Theatre Ribbon, Asiatic Pacific Ribbon with two Battle Stars, Good Conduct Medal.